The Grand Tour game will be delivered episodically along with the third season of the TV show. Amazon Game Studios’ is working on a video game adaptation of their famed car show – the Grand Tour. The Grand Tour game will be delivered episodically along with the third season of the show. The racing game is expected to feature “incredible cars, exotic locations and ridiculous challenges”, something that we have seen and enjoyed watching on the show. 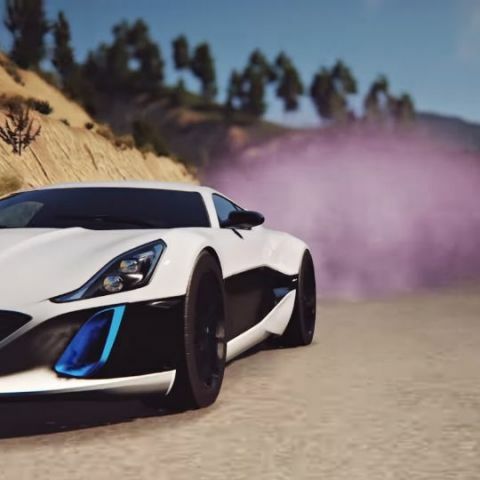 The game will feature four player split-screen co-op, along with voice-over from Jeremy Clarkson, Richard Hammond and James May, who are the three hosts of the Grand Tour. It is also expected that the game will seamlessly incorporate footage from the show making the transition from gameplay to show feel seamless. How this will be achieved and what objective you’ll have to fulfil as a gamer is yet to be seen. From the trailer below, you can see that it looks like a straightforward racing game, but Amazon Game Studios says that “over-the-top power-ups like High Tea, which spills tire-shredding cups and saucers, and More Horsepowers, which lets you blow past the competition” will also feature in the game. This isn’t the first time that we will see Jeremy Clarkson lend his voice to a video game. When he was the host of the BBC show, Top Gear, there was a Top Gear pack in the Forza Franchise where Clarkson lent his voice over. If you are one looking for a racing game on your console, then you are spoiled for chose. From steady franchises like Forza and Gran Turismo to old school franchises like Dirt and Need for Speed along with a host of indie racing games are available for you to enjoy on consoles. For those that aren’t aware, all the three host of the Grand Tour, Jeremy Clarkson, Richard Hammond and James May hosted Top Gear on BBC before moving to Amazon for the Grand Tour. There is no information available on when the Grand Tour Game will launch for the PS4 and Xbox One. In other gaming news, Sony is expected to launch its PS5 by Christmas 2019. You can read more about that here. Why haven\'t many people upgraded to PS4/Xbox One yet?